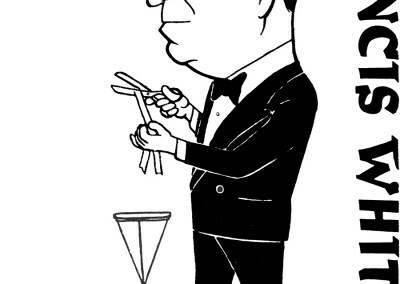 A President (the 8th) of The Magic Circle his tenure covered a period of decades. Although he was categorised as a Semi-professional magician working in Cabaret and Stage magic, his brilliant timing and casual wit were of a completely professional standard. He was droll and amusing in a much understated English way. In his youth he was taught magic by David Devant. 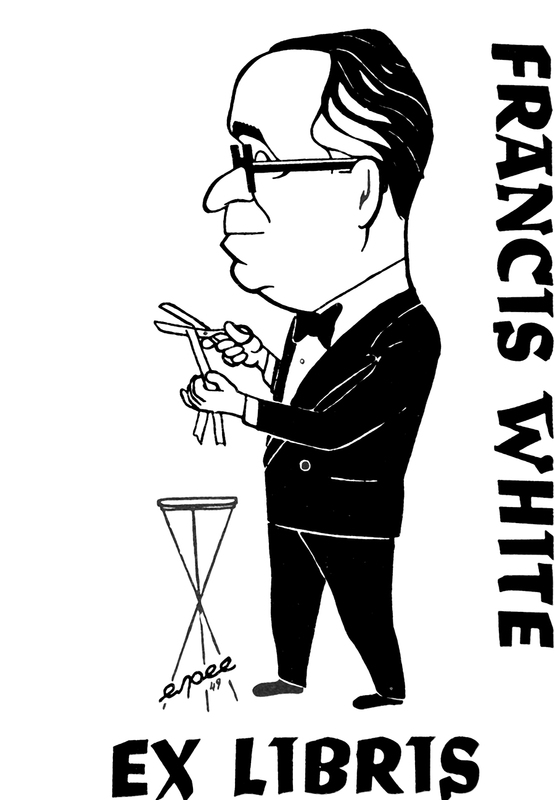 How nice to hear Francis White in his pomp, long time President of The Magic Circle, working out his introductions to various artists for up coming lecture. Click on the titles below to download. Please leave your memories, comments and ideas below.